When it comes to commercial cleaning in Perth, Total Concept Cleaning knows dirt, or at least how to get rid of it. We pride ourselves on leaving all spaces spotless and our Total Concept Cleaning program provides the best tailored commercial cleaning service in Perth. We are committed to excellence in all that we do, and our database of loyal customer is testimony to the outstanding results we achieve time and time again. When it comes to commercial cleaning services in Perth, Total Concept Cleaning (Tema) knows dirt and how to get rid of it. We pride ourselves on leaving all spaces spotless and our Total Concept Cleaning (TCC) program provides the best tailored cleaning service in the city. Time is money and you want a cleaning company that gets the job done efficiently, while you focus on your core business. We are committed to excellence in all that we do, and our database of loyal customers is testimony to this. We have achieved outstanding results by ensuring minimal inconvenience to all our clients. Superior and punctual customer service underscores our commercial cleaning solutions, and our TCC program is designed to suit all your needs, effectively and efficiently. All staff members are fully trained and police cleared, while qualified supervisors are always on hand to ensure all your requirements are met. A recent survey revealed that our clients rate our corporate cleaning services highly. 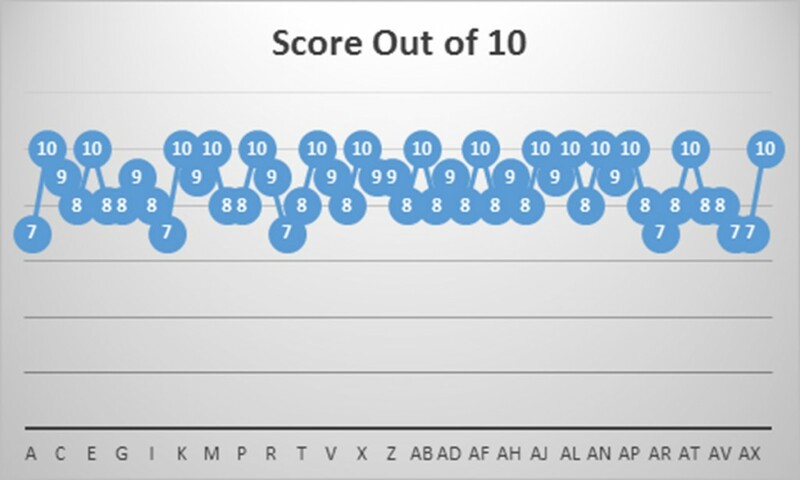 We strive to achieve 10’s from all our clients, across every Total Concept Cleaning service we offer. Whether you have one small office or an entire building, we’ll clean it properly. It doesn’t matter if you want it cleaned on a daily, weekly or monthly basis; our tailored cleaning packages can be made to suit your needs. You can choose a monthly carpet cleaning contract, or a daily or weekly cleaning service to stay on top of your office cleaning needs. A clean office is a happy office, and our cleaning services are well-known and respected by many happy office staff across Perth. If you need high pressure cleaning of even the toughest dirt, unsightly graffiti or old paint, look no further than Tema. No grime is too tough and no wall too filthy. With our high pressure cleaning service, we can transform an entire area and give your building or office a completely new look. From brick paving and factory floors to council pathways and peeling walls, our high pressure cleaners are up to the task. If you need your entire building cleaned then you will need to deal with a company that has the expertise and experience and resources for handling large projects. Leave it to Tema, the professional corporate cleaners you can rely on to leave your offices, desks, carpets, canteens and washrooms clean and hygienic. Cleaning industrial premises can be challenging. That’s why you want a company that has the right people, equipment and is safety certified. You want to transform your site with an industrial cleaning team you can rely on. We are up for the dirtiest jobs that call for the use of chemicals, heights and knowledge about the most effective way to get the job done correctly. Under strata management you can request a daily, weekly, monthly regular spring cleaning schedule of your apartment, room, office, or any common property belonging to the strata scheme. There’s no point having a clean interior if the exterior is dirty. Have your entire premises, including your garden and all outdoor areas, thoroughly cleaned; apart from making a nice impression with visitors, it’s just a feel good thing for you. From boutique hotels to large establishments with more than 200 rooms, we always provide a thorough cleaning. Talk to us about tailoring a cleaning service for your hotel. 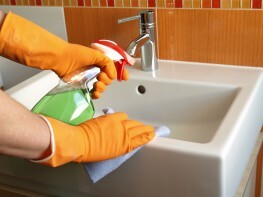 Whether you require a daily, weekly or monthly cleaning service we are happy to accommodate your requirements. You can also opt for our professional laundry cleaning service, making us your one-stop hotel cleaning shop. Our warehouse cleaning services are renowned throughout Perth and WA. Your premises will be cleaned by our experienced staff who use the latest cleaning equipment. We clean both inside and out, from the floors, walls and ablution facilities, to your outside area and garden maintenance; we do it all. Tema are commercial cleaners in Perth. Contact us for more information on how we can meet your commercial and corporate strata cleaning needs.